IL&FS crisis: India's 'too big to fail' moment? Mumbai-based asset finance company Magma Fincorp expects to close the outgoing fiscal year with a 20 percent growth in disbursals as it comes out of the liquidity crunch that hit the shadow banking sector after IL&FS went belly up last September. The crisis of confidence in the NBFC sector has left the company, which is also into home loans, general insurance and SME funding, apart from its bread-and-butter vehicle financing, fighting higher credit cost that rose by 40-50 bps since the second quarter to 9.3-9.5 percent, but has since come down to around 20 bps in the March quarter, vice-chairman and managing director Sanjay Chamria said. This also had its impact on disbursals across the industry and Magma wasnt any exception as its asset base slipped marginally because the company could not pass on the entire spike in its funding cost to end consumers. Despite this, in the three months to December 2018, Magma, which is focused on rural and semi-urban markets with over 300 branches serving around 1.1 million active customers, reported a healthy 65 percent growth in net income at Rs 74 crore. The growth has been driven by improved asset quality (gross bad loans came down by 314 bps to 6.3 percent during the quarter) and a 6 percent asset growth at Rs 16,507 crore and stable margin of 8.4 percent. Its net income for the nine months to December 2018 rose 39 percent to Rs 219 crore. We hope to close the year to March with a 20 percent disbursal growth, while total assets may end the year with 7-8 percent at Rs 17,000 crore, as the previous two quarters were a bit tight, Chamria told PTI in a recent interview, adding as of December AUM stood at Rs 16,507 crore, up 6 percent. It can be noted that Magma had a rough riding in the previous three fiscal years, forcing it to completely revamp its approach to the market. Before the year to March 2018, Magma had seen 11 straight quarters of de-growth, pulling its assets under management down by Rs 4,500 crore from Rs 19,500 crore three years ago. The first growth came in the March 2018 quarter when its AUM grew by Rs 500 crore to Rs 15,500 crore. Going forward, asset growth will be led by the three focus verticalsvehicle finance (Rs 12,000 crore now, which is 70 percent of book, of which Rs 4,000 crore come from used vehicle financing), mortgages or home loans (18 percent) and SME funding which constitutes the rest of the asset book. He said its home loan arm, Magma Housing Finance, has adopted a strategy of go home loan and go direct which has been received well as it saw a 201 percent growth in home loan disbursal, while direct originations stabilised at 80 percent of the disbursement in Q3 compared to 47 percent in Q2. The mortgage loan book closed the December quarter at Rs 3,000 crore and while the SME book clipped past 23 percent in Q3 and 41 percent for the 9M of FY19, he said. Magma HDI General Insurance saw its gross written premium growing at 115 percent in Q3, driven by a strong momentum both in retail and commercial verticals coupled with an industry-leading low claims ratio from motor business. 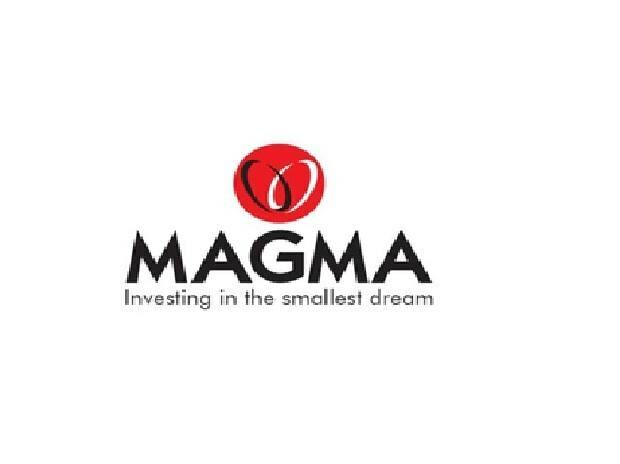 Last April, Magma had raised Rs 500 crore through a rights issue, which also saw its largest shareholder the PE major KKR selling most of its holding, while Magma raised fresh equity from Amansa Holdings and Goldman Sachs. This has helped it maintain a capital adequacy ratio of over 25 Prior to this KKR was the largest shareholder in Magma with 16 percent interest, has sold 11.2 percent of its shares to local mutual funds. Following this homegrown private equity major True North has become the largest shareholder with about 10 percent interest. Other shareholders include ICICI Prudential Life and HDFC Life. The Magma counter closed at Rs 114.30 on the BSE, down 0.8 percent last Friday, while the benchmark Sensex closed almost flat with a negative bias.